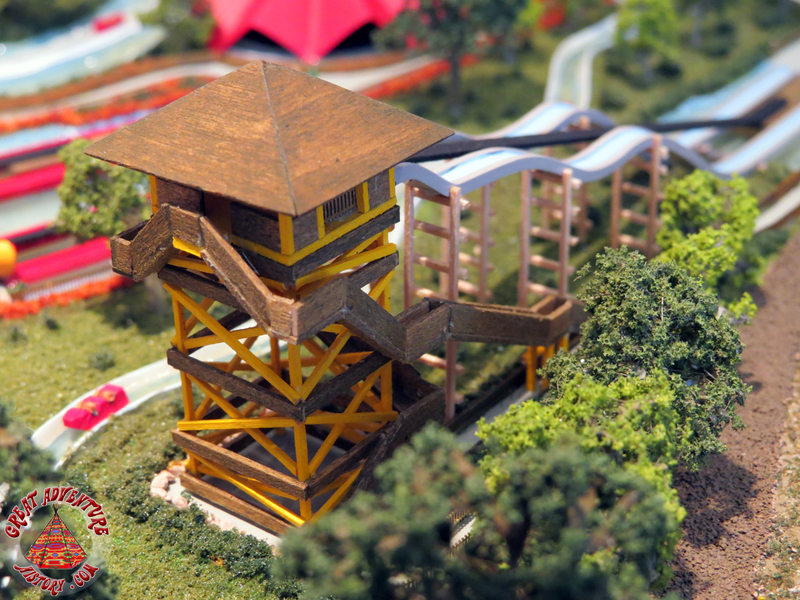 Before the days of economical computer modeling and simulation, hand built models of proposed rides and attractions were used as an excellent way to illustrate how future areas and park additions would look once constructed. 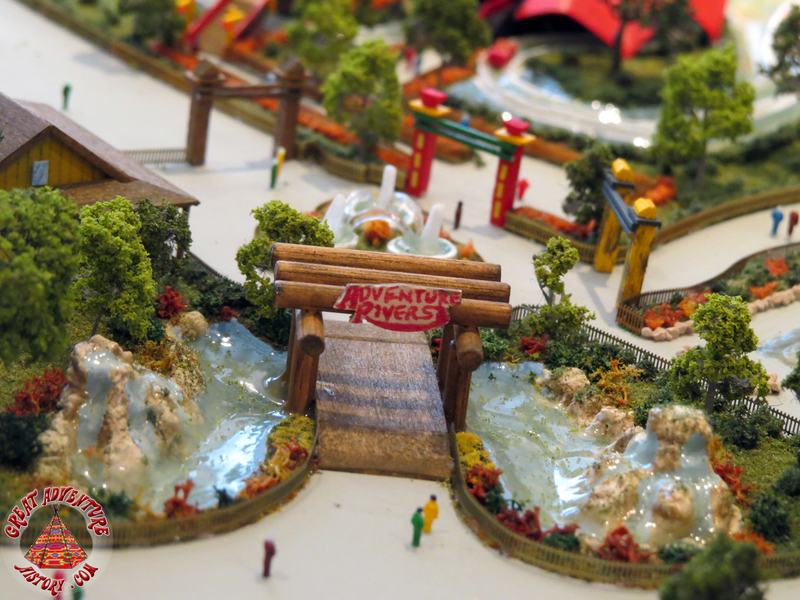 An impressive 24" x 36" model of Six Flags Great Adventure's new for 1991 Adventure Rivers area was built in miniature before the first shovel of dirt was moved on this new area of the park. 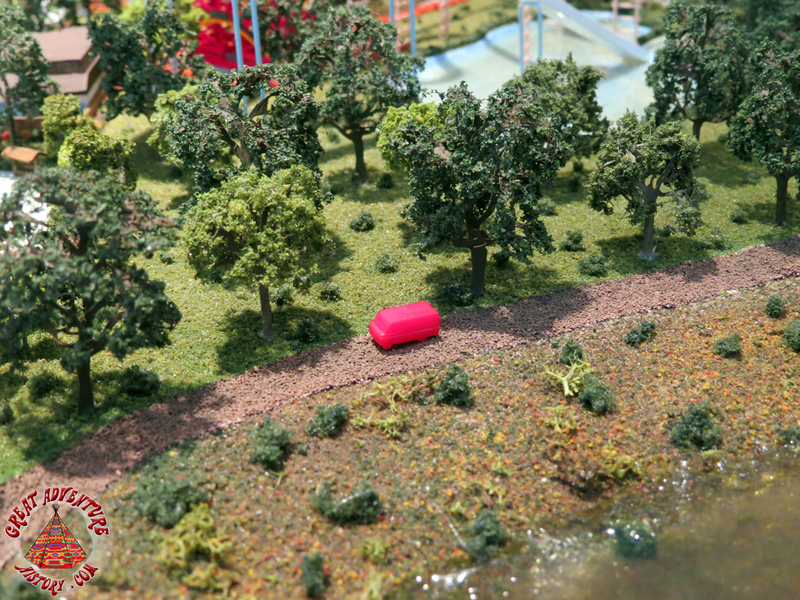 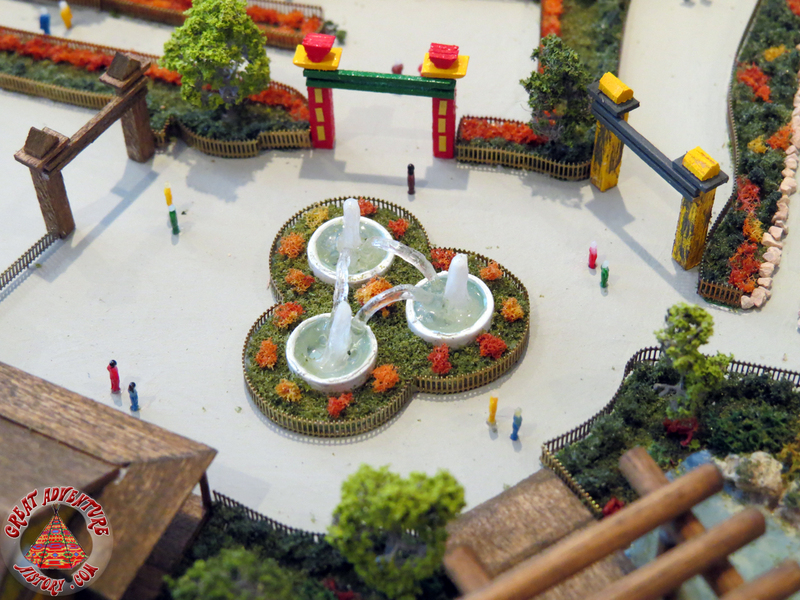 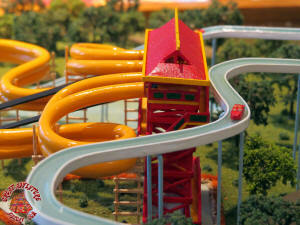 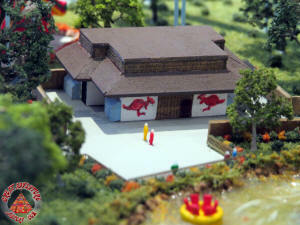 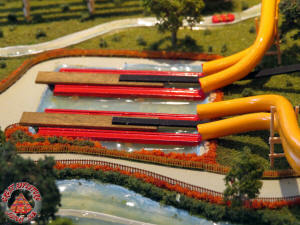 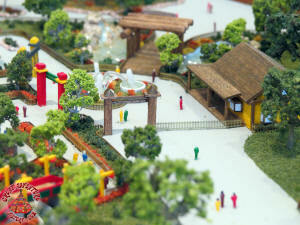 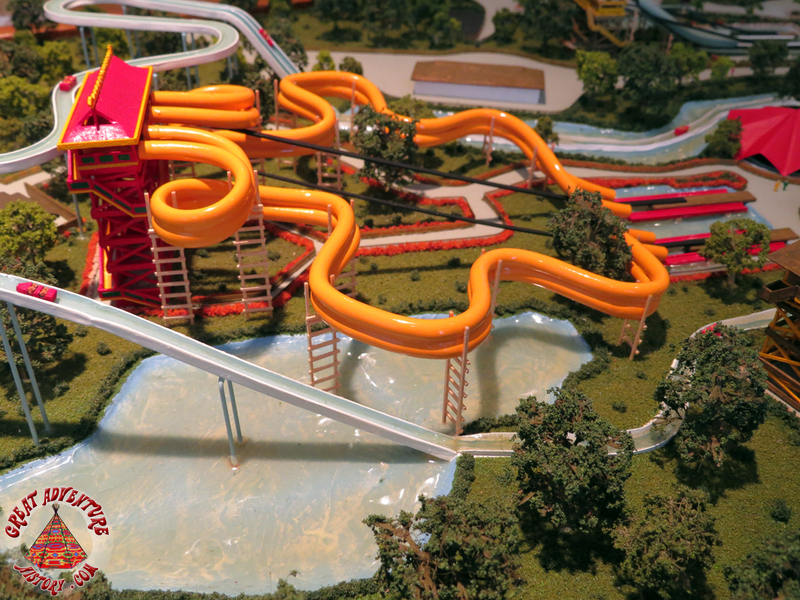 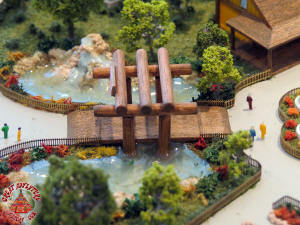 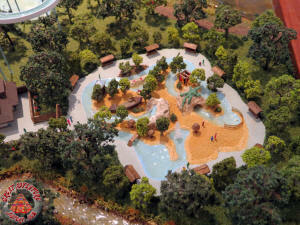 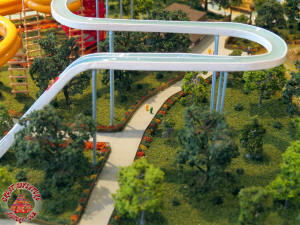 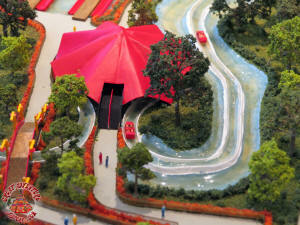 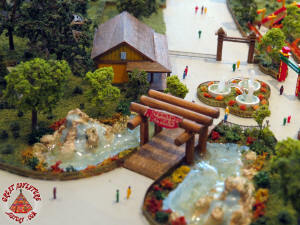 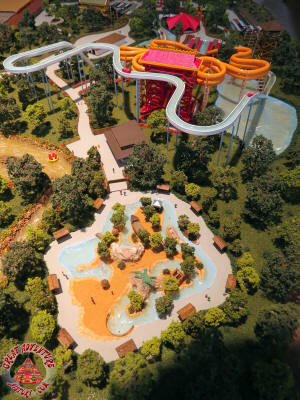 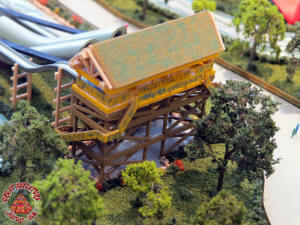 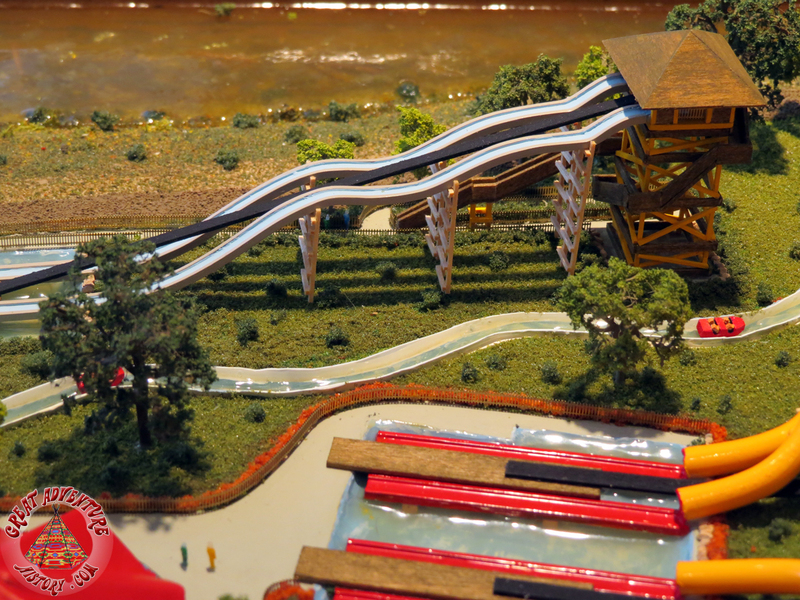 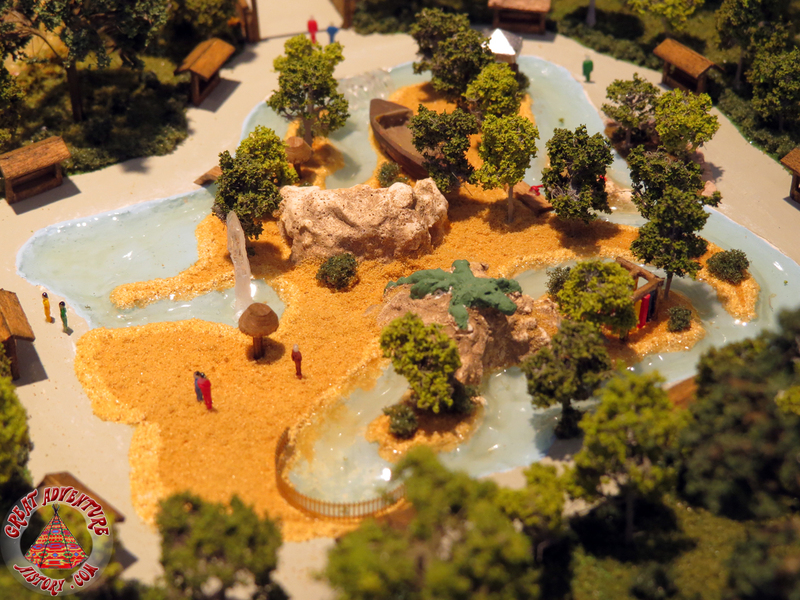 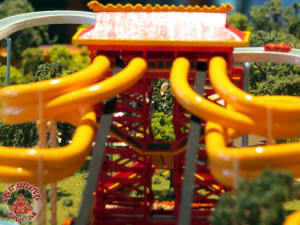 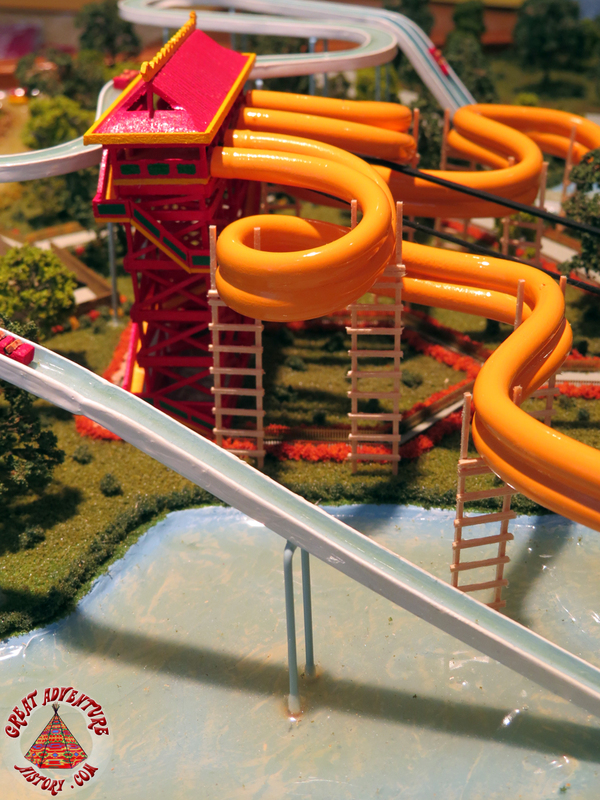 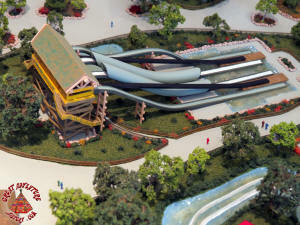 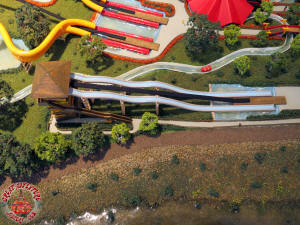 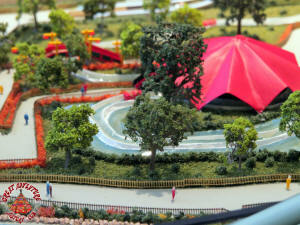 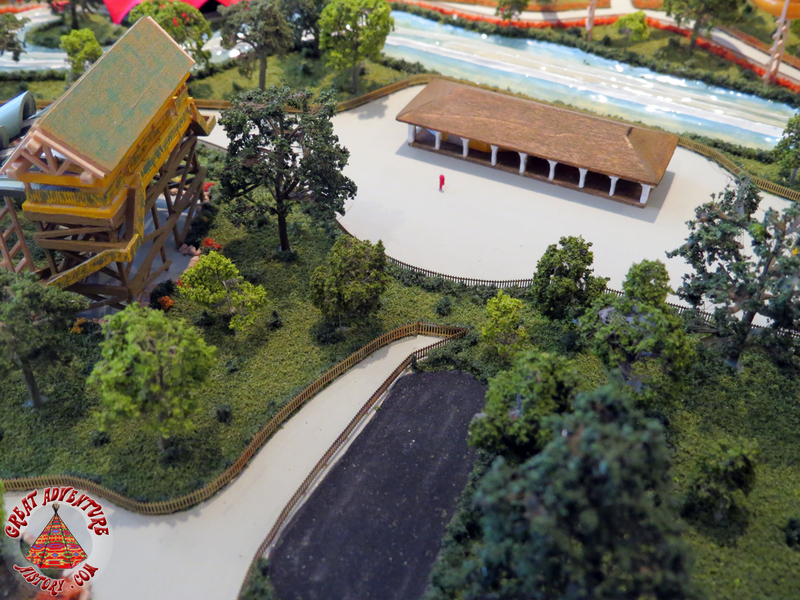 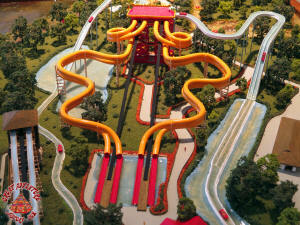 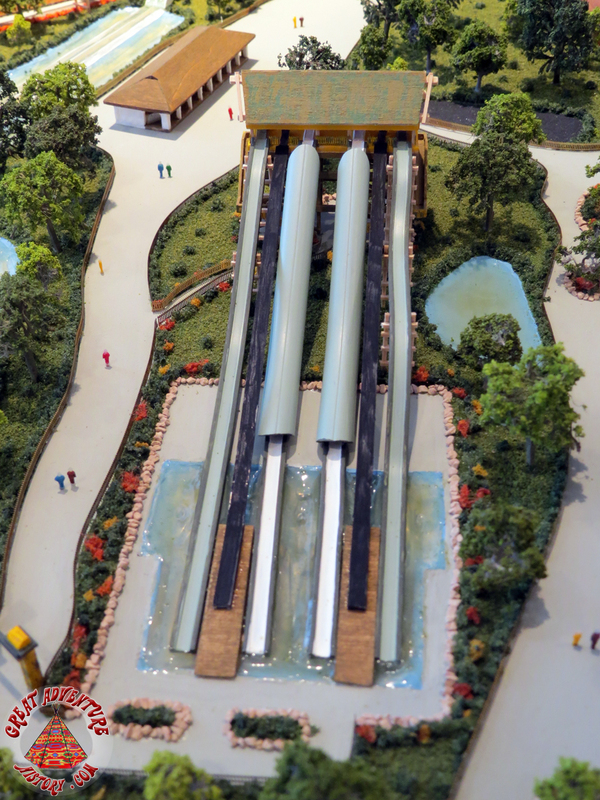 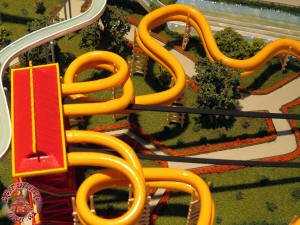 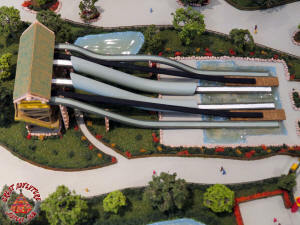 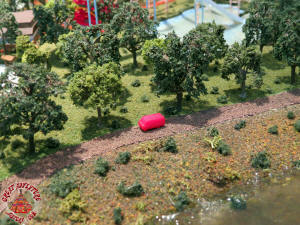 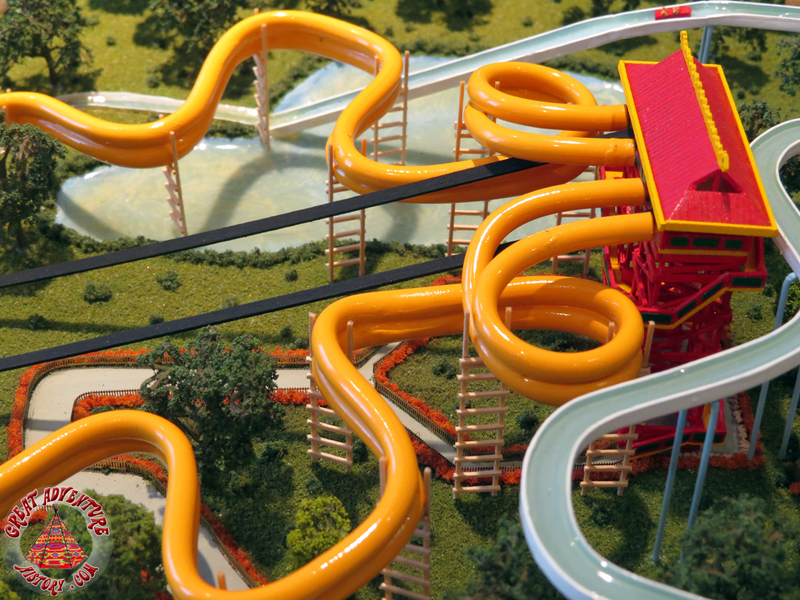 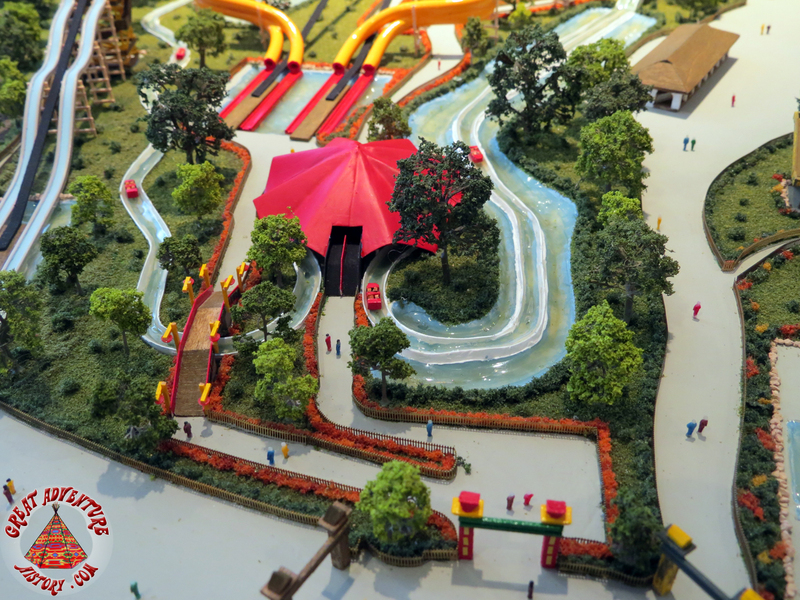 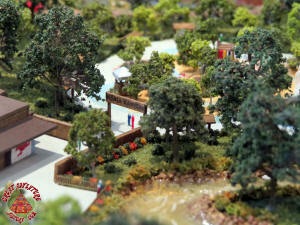 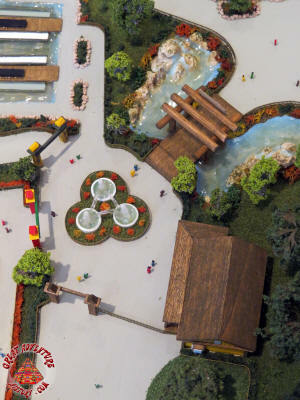 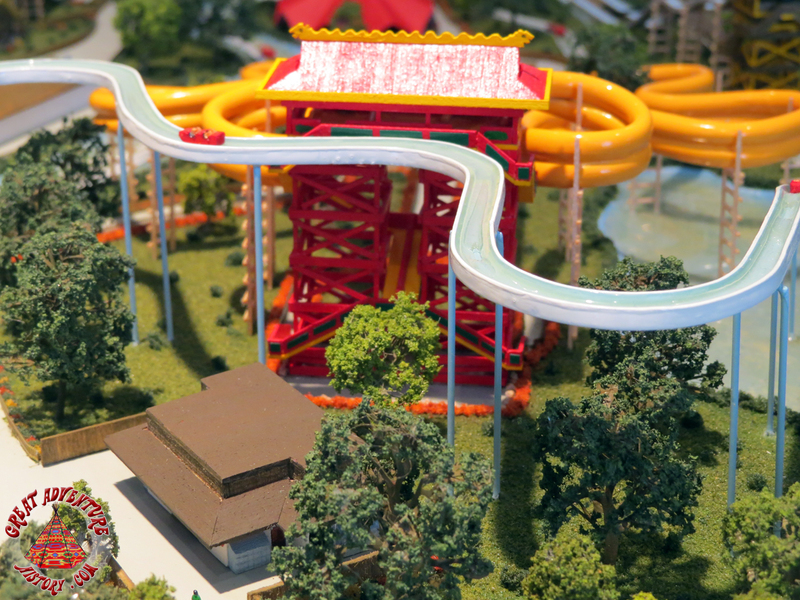 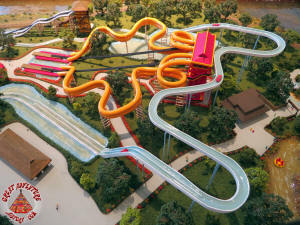 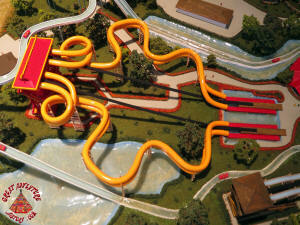 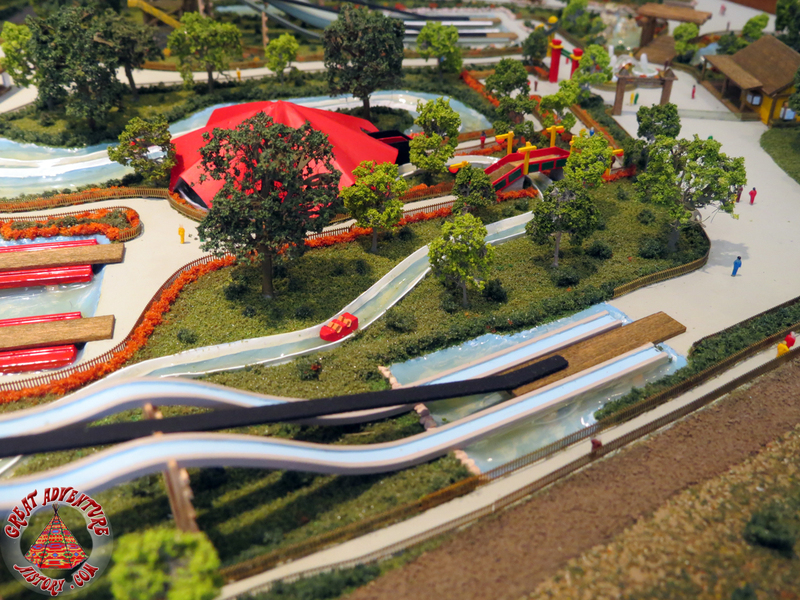 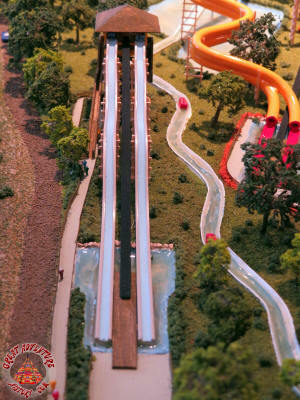 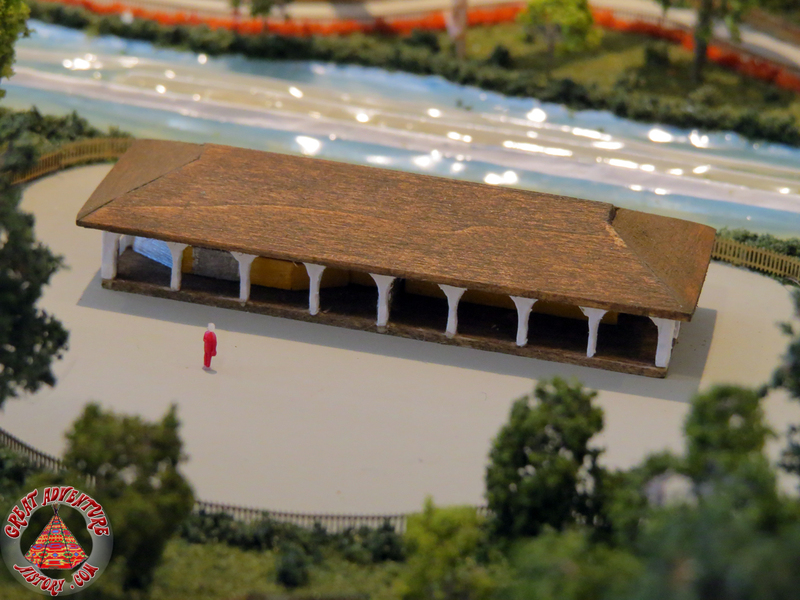 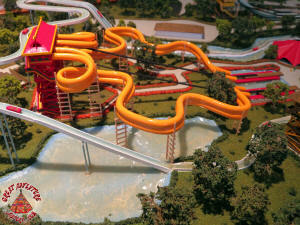 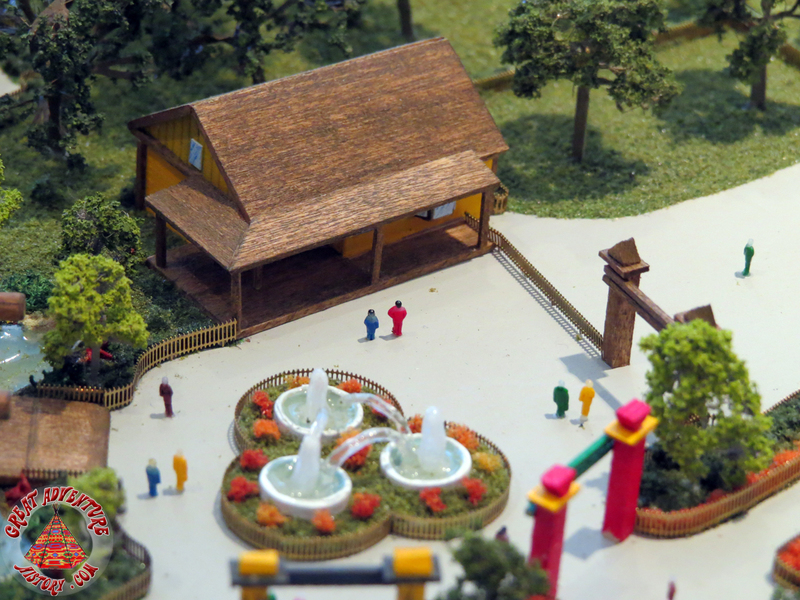 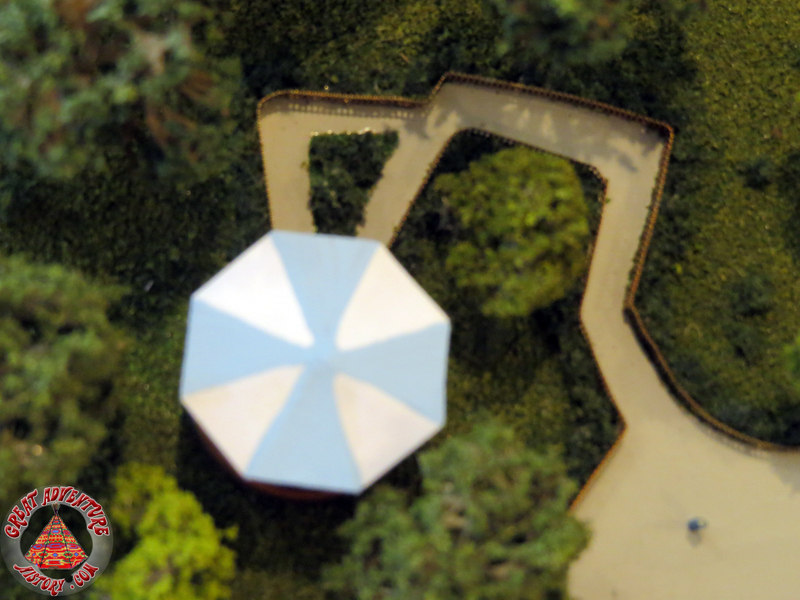 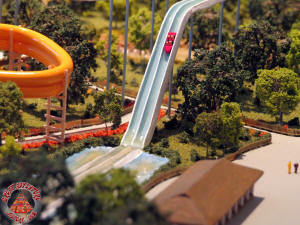 Below are some close-ups images of a very accurate scale model of Adventure Rivers.